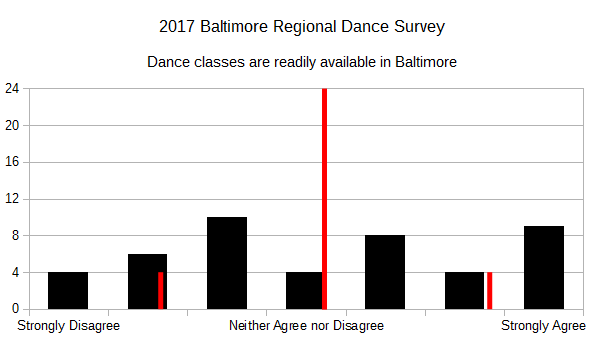 This one came pretty much right down the middle (Average of respondents = 4.25, where 4.00 = “Neither Agree nor Disagree”. σ = 2.10). Mixed bag – no discernible trend within the answers either. This could be related to the kinds of classes students interested in taking. This one swings a bit further toward agreement (Average 4.80, where 5.00 = “Somewhat Agree”. σ = 1.73). 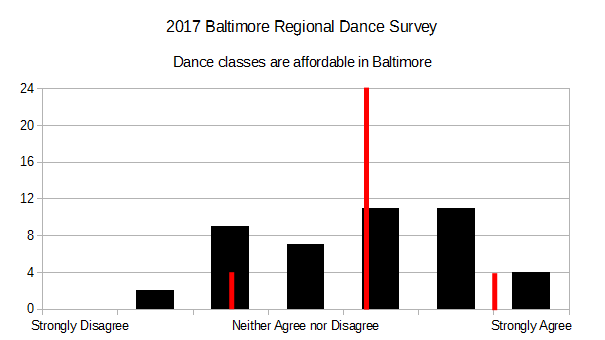 One might call this “Barely Agree.” (Average 4.61. σ = 1.77). This one makes it firmly into “Agree” territory (Average 5.90, where “Agree” = 6.00. σ = 1.90). This one also makes it firmly into “Agree” territory (Average 5.96. σ = 1.68). Highest agreement among these questions. 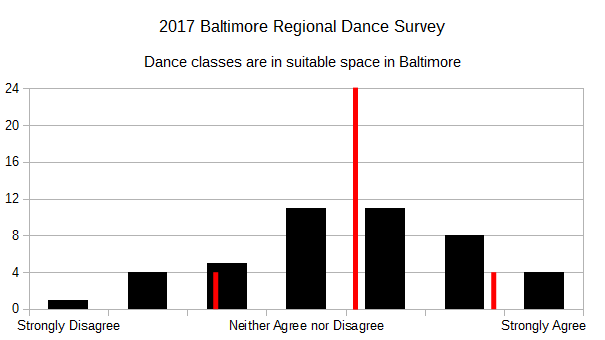 And finally, respondents somewhat agree with this (Average 5.33, where “Somewhat Agree” = 5.0. σ = 1.68). 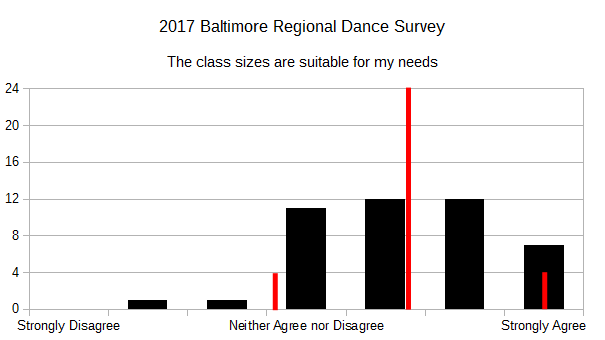 Keep in mind that the survey in general has a heavy bias toward instructors, but this particular question was only asked of dance students, in the context of their experience as students. 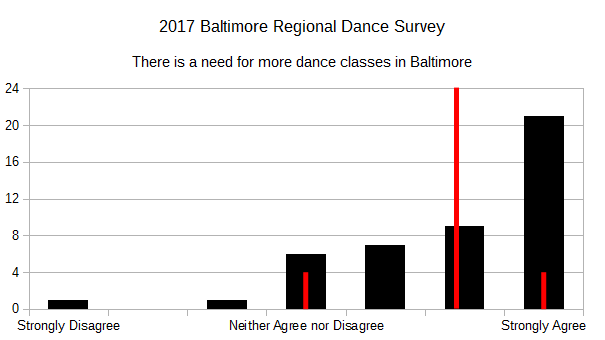 According to these respondents, Baltimore has some great teachers, and the respondents want more classes.